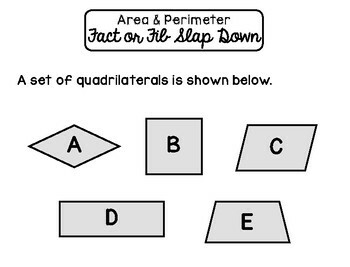 With this Fact or Fib Slap Down activity, students determine whether statements about a stimulus are true or false. 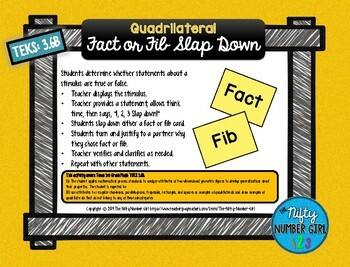 •Students slap down either a fact or fib card. •Students turn and justify to a partner why they chose fact or fib. •Teacher verifies and clarifies as needed. This activity covers Texas 3rd Grade Math TEKS 3.6B. to single classroom use only.